Huw has worked within the Financial Services Industry for over 20 years having had a highly successful career with a number of Wealth Management and Financial Institutions. He has a unique level of experience having previously established his own IFA practice, before working as an Adviser for several National IFAs. 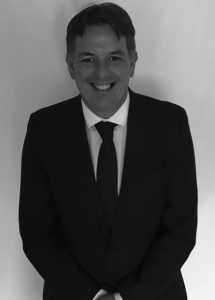 He has spent 12 years of his career at HSBC, initially as an IFA and then as Area Manager in the South West and London regions. For the last two years he has been based at Canary Wharf and led a team of Advisers providing advice to High Net Worth clients in the city. Huw believes passionately in the Vision values of providing Independent Financial Advice to it’s clients through the provision of a tailored solution. He was attracted to Vision because of it’s ethics around being customer centric and it’s belief in providing a dynamic network to facilitate the synergy of high calibre Independent Financial Advisers.